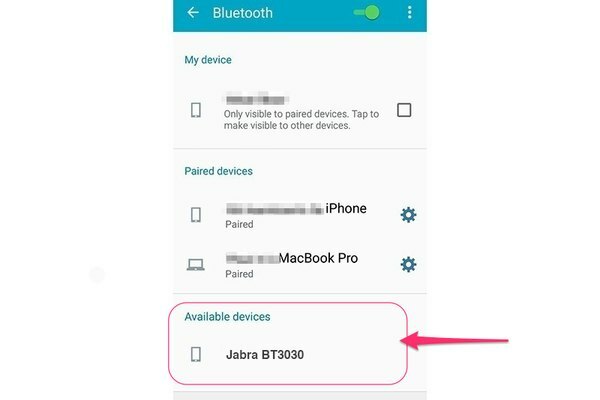 Use the onboard contorls on your Jabra Bluetooth headset to reset the device and use the Bluetooth settings section of your mobile device or computer to reset its pairing connection with your Jabra headset. Because Jabra headsets differ in terms of physical buttons and other onboard controls, how you go about resetting your Jabra headset varies depending on the Jabra model you're using. If you have a Jabra Extreme, for example, hold down the Multifunction and Volume buttons for five seconds to reset the headset. On the Jabra BT3030 or Street2, turn the headset off and hold down the Answer/End button until the LED light turns from flashing blue to solid blue and then to purple. On the Jabra Clipper, press the Volume Down button and then the Volume Up button and repeat this sequence two more times quickly to reset the headset. For information on resetting other Jabra models, look up your model on the Jabra Support website. 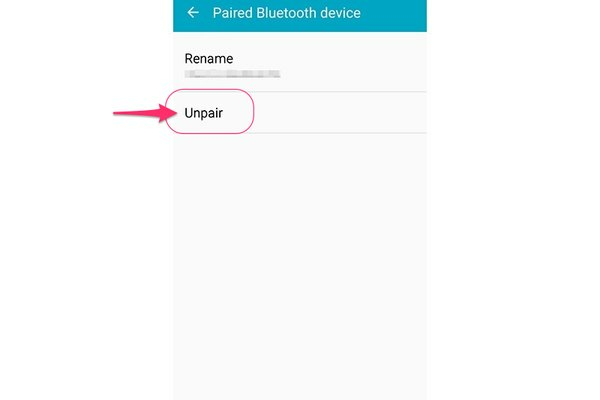 The method for resetting the Bluetooth pairing connection of your Jabra headset varies depending on whether you've paired the headset with a mobile device or a Windows computer. Turn off your Jabra headset and then turn it on again and set it to be discoverable. How you do this varies depending on the Jabra model you use. Some Jabra headsets have dedicated pairing buttons you press to make them discoverable. Others become discoverable when you extend the headset's boom microphone. Consult your manual and Jabra's Bluetooth Pairing Guide website for more information. 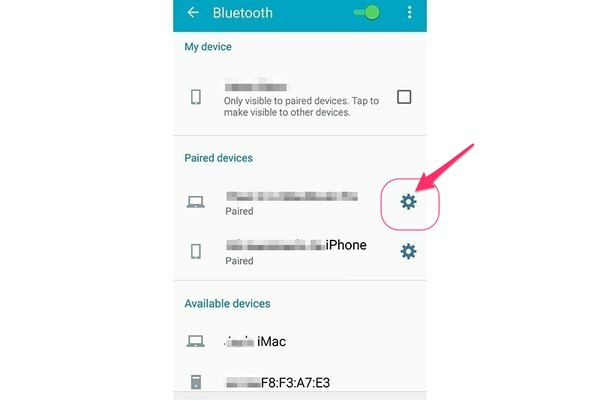 Open the Settings app on your mobile device and touch Bluetooth on the main settings menu to open the Bluetooth panel. Screenshots here are from an Android 5.0 device. 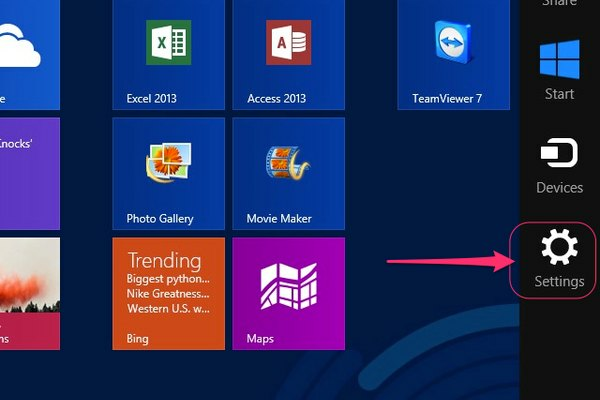 They will differ slightly from what you see on devices running other versions of Android, Windows Phone or iOS. Tap the Gear icon located next to your Jabra headset. Select Unpair to cancel the current pairing connection. If you're using an iPhone or iPad, tap the Info icon located next to the headset instead and then select Forget This Device. On a Windows Phone smartphone or tablet, press and hold the name of the Jabra headset and then tap Delete. Return to the main Bluetooth settings screen, tap the name of the Jabra headset on the list of Available Devices, touch Yes or Pair, if prompted to do so, and then enter the headset's pairing code to finish resetting the pairing connection. Consult the headset's manual to obtain its pairing code. If you don't have the manual, visit Jabra's Bluetooth Pairing Guide website to obtain the headset's pairing code. 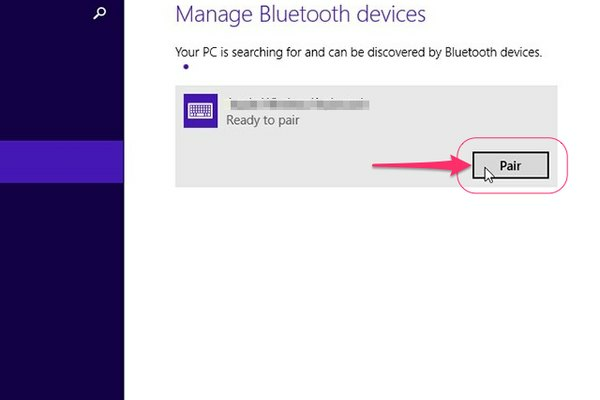 On a Windows 8.1 computer, reset the pairing connection using the Bluetooth section of the Settings panel. Press Ctrl-C while viewing your PC's Start screen and then click Settings on the Charms menu. 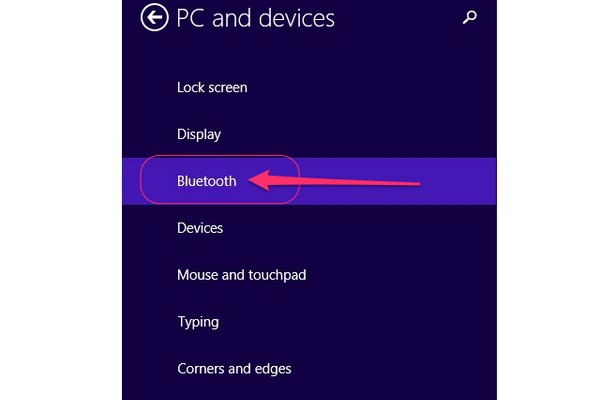 Click Change PC Settings, select PC and Devices and then choose Bluetooth to open the Bluetooth settings panel. Select your Jabra headset on the list of connected devices and then click Remove or Remove Device. Confirm you want to disconnect the headset, if prompted. Wait for the list of devices to refresh, select your headset again and click the associated Pair button. Enter the headset's pairing code, if prompted to do so, to finish resetting the pairing connection. If the list of Bluetooth devices doesn't refresh, toggle the virtual Bluetooth switch at the top of the screen off and then on again.